Thanks to the fabulous folk at Cointreau one creative project is £20,000 better off than it was at this time last week. 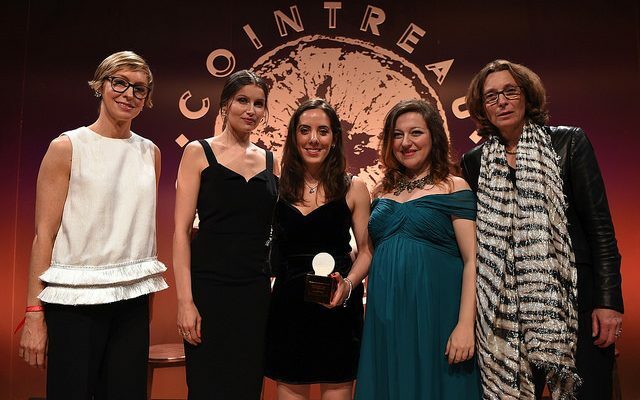 The fantastically generous business grant was the top prize in the first Cointreau Creative Crew initiative launched by Laetitia Casta and La Maison Cointreau in London earlier this year. Little wonder why 750 businesses ranging from fashion to food, art to cocktail clubs applied for the grant – who wouldn’t want a piece of that action? It was Jessica Benhamou a film producer who picked up the cheque at a star-studded shindig held at Liberty London last week. The grand jury made up of Cointreau’s creative director Laetitia Casta, Rémy Cointreau’s CEO Valérie Chaoulaud-Floquet, UNESCO Artist for Peace Guila Clara Kessous, Liberty London’s Managing Director Ed Burstell and editor of British Glamour Magazine, Jo Elvin were blown away with the story behind her short film Juliet Remembered. And having heard more about it, we can understand why. 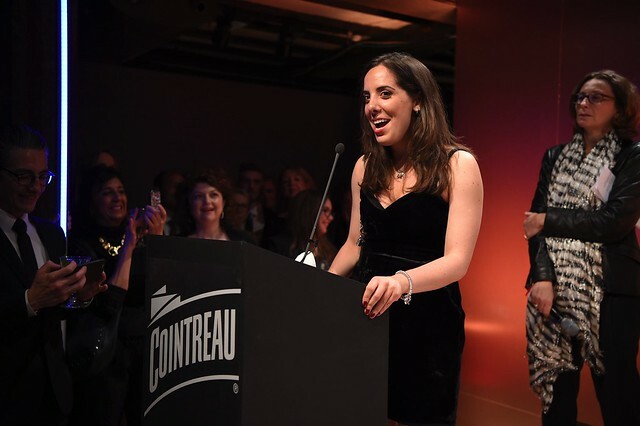 We caught up with Jessica to find out more about the project and what winning the first Cointreau Creative Crew UK Grant Scheme means to her. On Twitter – there was quite a buzz about it. I thought: I like Cointreau, I like creative entrepreneurs and I love grants for women, so I went for it, not really thinking we would win. You never prepare yourself for that. So why did you apply? I felt our project would be a really good fit for Cointreau, plus I really believe in the product. Give us your pitch for the film. It’s called Juliet Remembered and it’s about an older woman with Alzheimers. She’s a former actress who has just moved into a care home after her husband dies. She’s started to lose her memory but she can remember every single line of Shakespeare’s Juliet. The idea is that Juliet is passed her glory days and is part of this fantasy world of theatre which forms an escape from reality. When you’re watching it you’re wondering does withdrawing into that world alleviate her condition or prolong it? It’s quite tragic in parts as you feel the tremendous pain she’s going through but then there’s also a lightness of touch that is very much needed – the comic moments that make the darkness of her situation wane. This idea of always trying to always reach for something a bit beyond reality is what makes it a soulful story. It’s an incredibly intricate, incredibly multi-layered story where you have a woman who is trying to relive her past in some ways but then behind that it deals with all these different ideas of whether storytelling can enhance or transcend reality. You’ve got an older woman playing Juliet which is visually very striking, particularly as we associate Juliet with young passionate love. There aren’t enough films with older women in the lead. I felt this was a script that was really trying to do something beyond just telling a good story. How did you bring that to life for the jury? It was terrifying! I have pitched before but not to a jury that includes the editor of Glamour, Laetitia Casta and people who are completely at the top of their game. It was really good experience for me as a producer though as part of my role is raising funds but it was nerve-wracking just the same. I was very nervous afterwards because it was one of those things where you put a lot of time into the preparation and you come out not quite sure if I you gave your best. I knew the content was good but wasn’t so sure about my delivery. 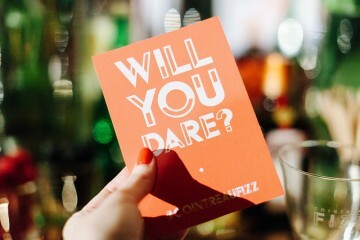 What will you be using the Cointreau Creative Crew UK Grant for? Post-production – it’s really expensive. The luxury we’re going to have is that unlike most short films which people take time making, then have them on their showreel and their CV because they don’t have a marketing budget, this is a complete dream because we can prove ourselves by coming up with innovative and interesting ways of getting the film out there. With short films you’ve got 12 months to apply for Raindance, Sundance and all the major festivals after filming has finished, so we’ll be going to all the film festivals in the first year. We’d also really like to get a sales agent on board – that would be quite a feat for a short film. We’ll also be looking at getting distribution deals. After that we’ll be putting it online and making sure it reaches the masses and has longevity online. The sooner we can get a sales agent or distribution deal the better. How do you encapsulate the Cointreau Creative Crew ethos of Dream, Dare, Create? Hollywood is the land of dreams right? Making films is something very exclusive but with the emergence of Kickstarter and Crowdfunding, plus grants like this, it really does level the playing field in terms of daring to go after your dreams. As for the create part, each film is like a mini enterprise, a product to sell and a work of art – the fact that we are able to make something where you can see all of these creative brains come together captures the create part perfectly. As well as the monetary side, how else will the grant help you? It’s incredible that Cointreau is doing this initiative for creative women because the people who should be doing it are the funding bodies. Here in the UK the only one that has a 50/50 pledge for men and women is Creative England – that means the British Film Institute, Film London and the rest, none of them are giving enough funds to women directors and producers. They have a pledge when it comes to diversity in terms of ethnic minorities but don’t have a pledge for gender equality. What’s really bizarre is most people who put themselves forward as directors are guys when there are so many women who want to be doing it. For some reason they are undervalued. That’s seriously got to change. 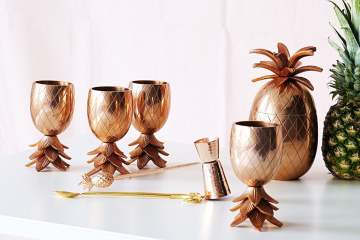 On a lighter note, which Cointreau Fizz did you celebrate with? The classic, just Cointreau, fresh lime juice and sparkling water, it’s my favourite. I had one just before I went in for my pitch – it really helped to calm me down. Also huge congratulations to Tin Drum Films who picked up the Cointreau Newcomers Award and model/actress/philanthropist Lily Cole who was honoured with The Cointreau True Icon Award. The Cointreau Creative Crew programme will be implemented in other markets across the globe. Next: South Africa, Nigeria, Singapore and USA.